The Mezco One:12 Collective Deadpool action figure is due out Q3 this year. 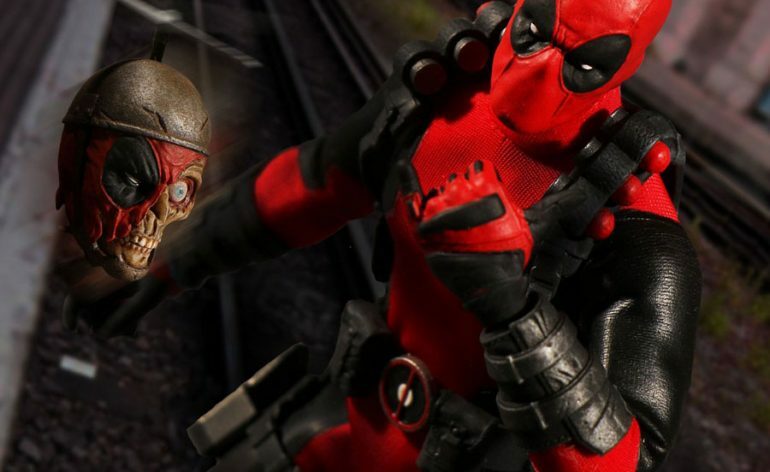 Deadpool’s always been fairly popular with comic fans, now having enjoyed a roughly 25 year run in comics. 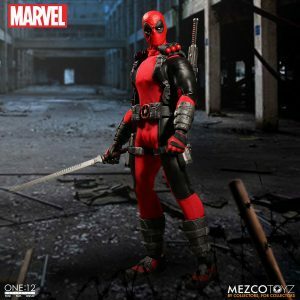 However, with last year’s surprise smash hit ($783 million in worldwide box office) with Ryan Reynolds as the Merc with a Mouth, Deadpool is no longer a comic favorite, he, well, belongs to the people now. 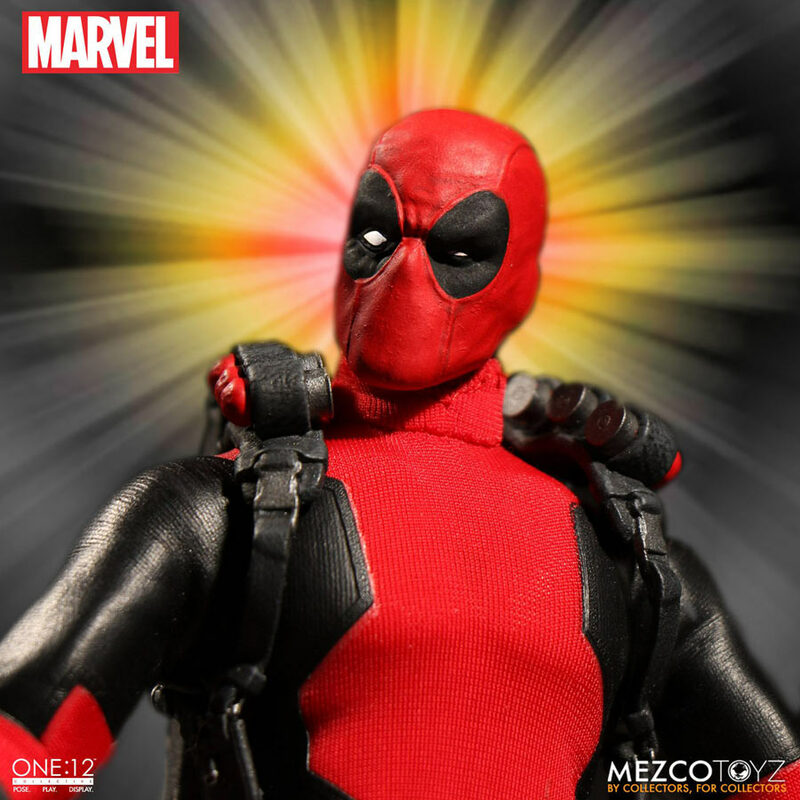 And if there were a decent amount of Deadpool figures, statues, and other collectibles before the movie, there are a veritable flood now. 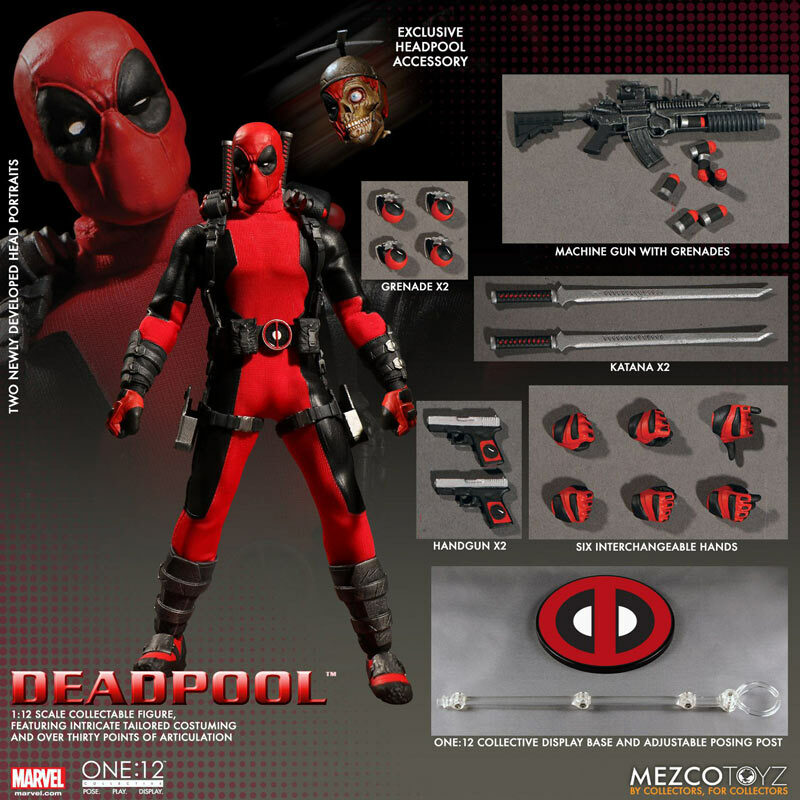 Seriously, you can’t swing a sword, or break the fourth wall without hitting a new Deadpool figure. 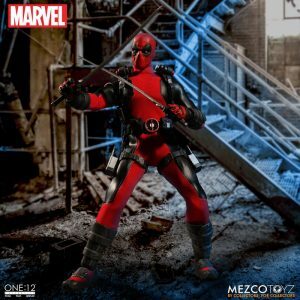 But if you’re looking for a truly standout one, that won’t break the bank, have no fear, because the Mezco One:12 Collective Deadpool action figure is here. As with other figures in their line, this one is pretty awesome. Let’s take a look at what it offers. How Tall is This Deadpool? 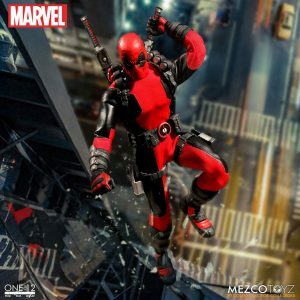 Mezco’s Deadpool, at 1/12 scale, will be roughly 6.3 inches (16 cm) tall. What Kind of Outfit/Sculpt Does He Come With? And What Kind of Accessories Does He Have? In addition, if you order the figure through Mezco’s site, it comes with an exclusive ‘Headpool’ disembodied head accessory. 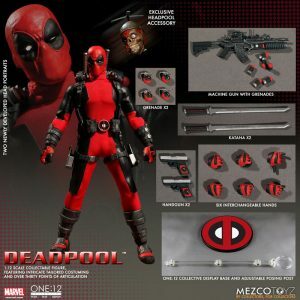 Where Can I Pick One Up, How Much Will Deadpool Cost, and When Will He Ship? You can pre-order one over on Mezco’s website for $84.99, or you can pre-order one on Entertainment Earth for $80. 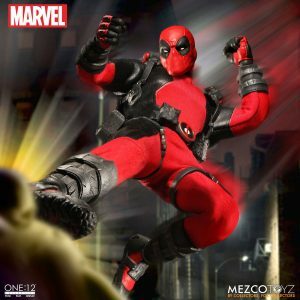 Mezco’s saying that the figure will ship between August and October this year. No, you can’t have the last slice of Za, Headpool! I come with some badass accessories! 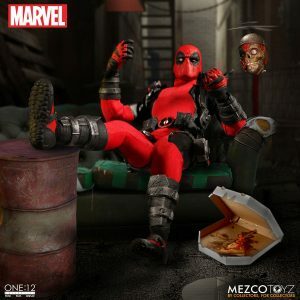 Mezco’s Friendly Neighborhood Spider-Man is Available for Pre-order! 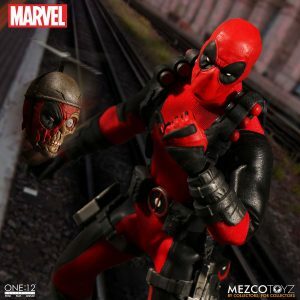 Mezco’s One:12 Collective Frankenstein’s Monster with Doorway Is Here! 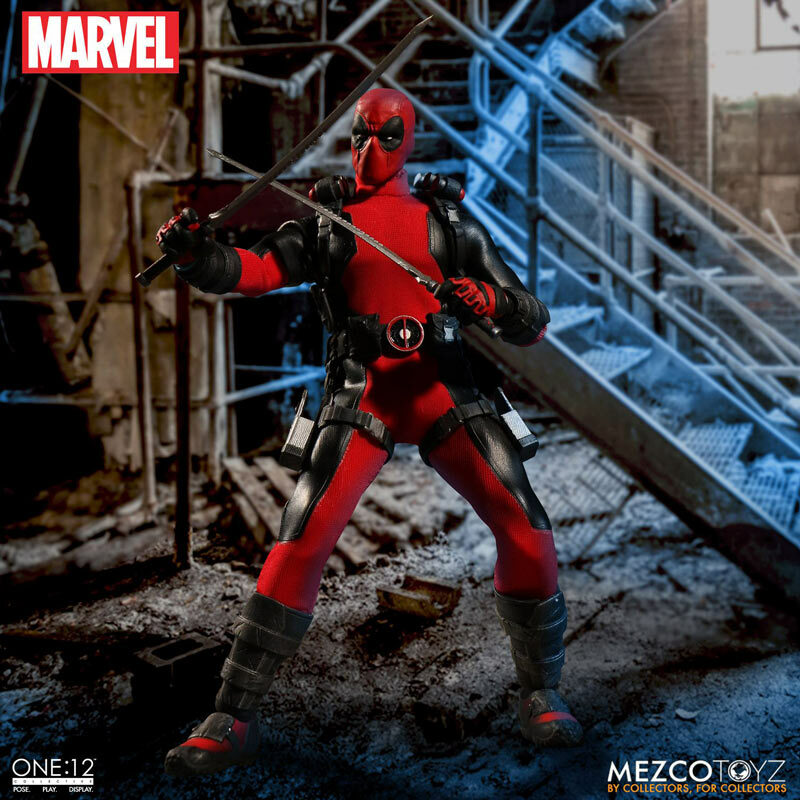 I saw this deadpool figure a lot, so it looks less amazing than the one from play arts.